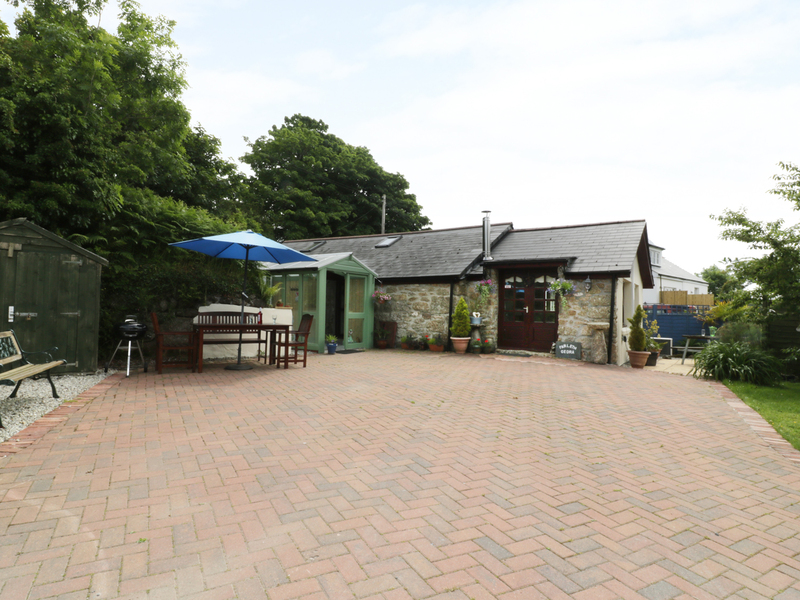 Parleth Gedra is a lovely barn conversion situated near the village of Lanlivery in Cornwall. Set all over ground floor it has two bedrooms; one double and a twin, and a wet room , this property can sleep up to four people. There is also an open-plan living area with a kitchen, dining area and sitting area with a woodburner. To the outside is a lawned garden along with a patio and garden furniture. There is ample off-road parking. Parleth Gedra is the perfect holiday getaway for the whole family looking to explore the Cornish region. Electric heating with woodburner. Electric oven, gas hob, microwave, dishwasher, washing machine, TV, DVD player, WiFi, selection of books, games and DVD's. Fuel, power and starter pack for fire/stove inc. in rent. Bed linen and towels inc. in rent. Ample off-road parking. Lawned garden with patio and furniture. Two well-behaved dogs welcome. Sorry, no smoking. Shop 3 miles, pub 1.25 miles.